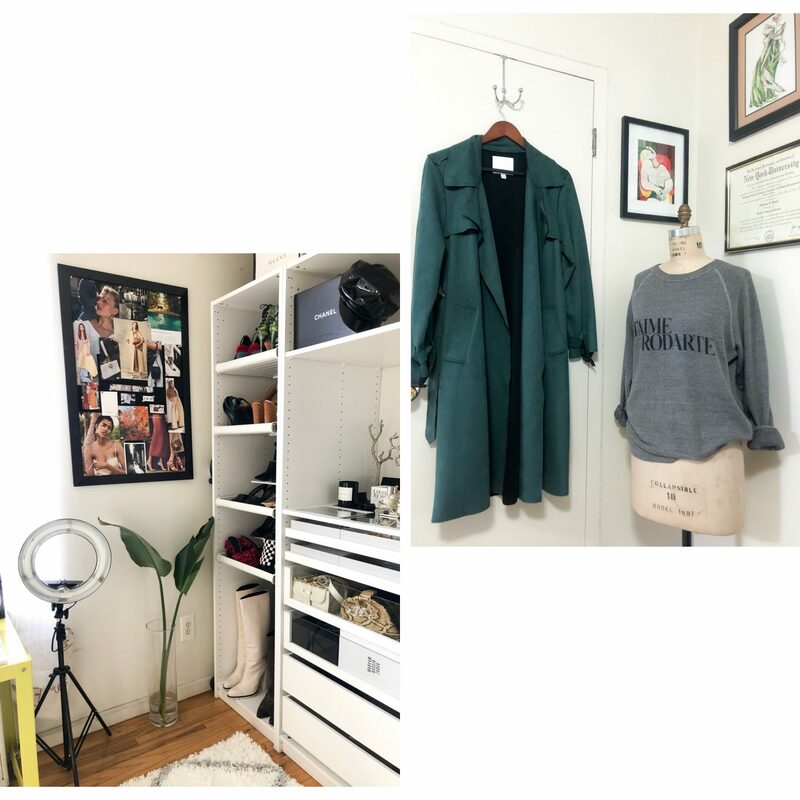 After years or pinning away for my dream closet, I finally bit the bullet and invested in my dream cloffice (closet/office). 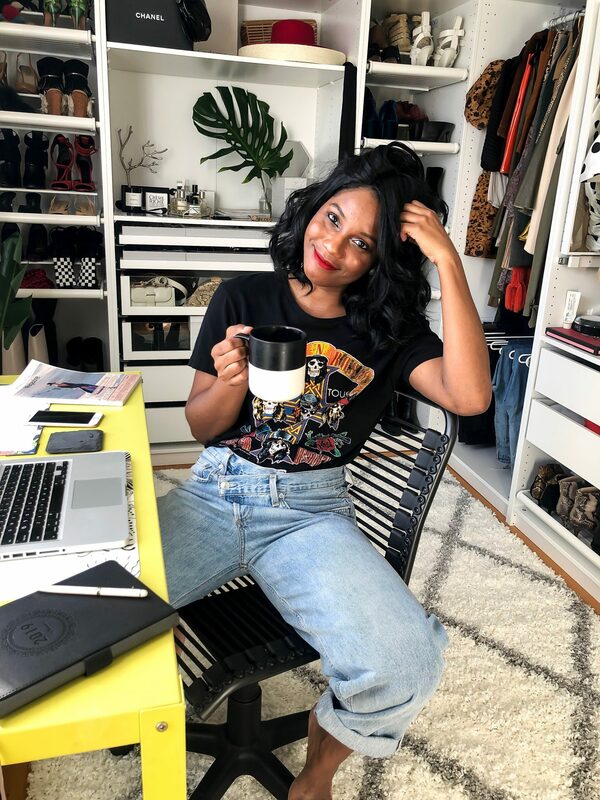 Now that I’m blogging full-time, I really wanted a space that was clutter free and aesthetically pleasing. 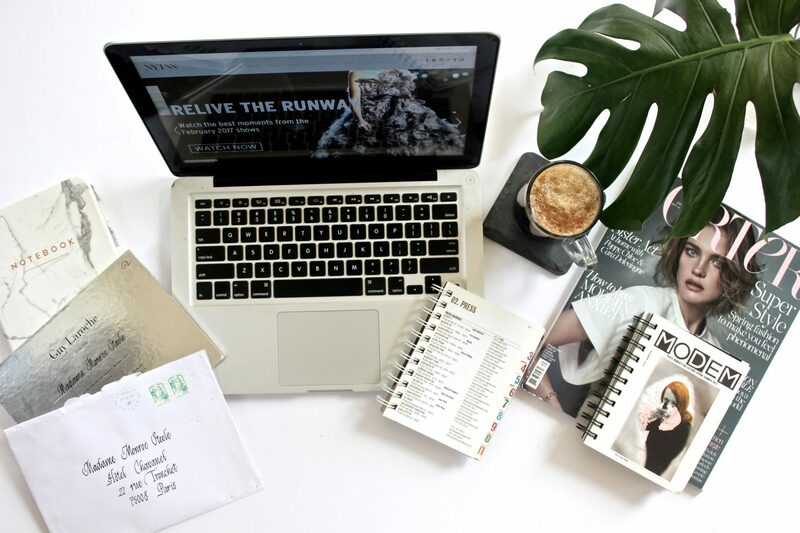 I wanted a light and airy space where I could create content as well as stay very Type-A Organized. After some research I knew I wanted the IKEA PAX Wardrobe with the open concept (no doors) because I like to be able to see everything. After saving up for a few months I was finally ready to invest in my future. 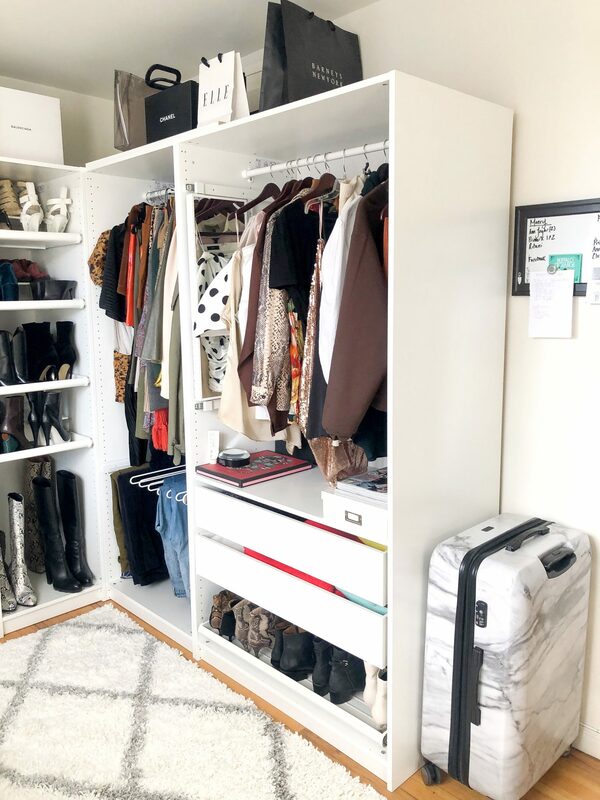 I measured my space (the second bedroom in my two bedroom apartment) and I went online and found the 5 wardrobes shells that I wanted to build out. I then set a budget for $1500 and armed with my measurements, I headed to my local IKEA in Brooklyn. I spent about half an hour with a wonderful sales associate who helped me customize my closet on the IKEA PAX Wardrobe online planner. Once everything was finalized we printed up a 3D photo of my closet along with the summary list of items to complete my closet. My total came up to about $1281.96. After Taxes, Shipping and Handling as well as assembly, my total was $1800. A cool $300 over budget but well worth it. 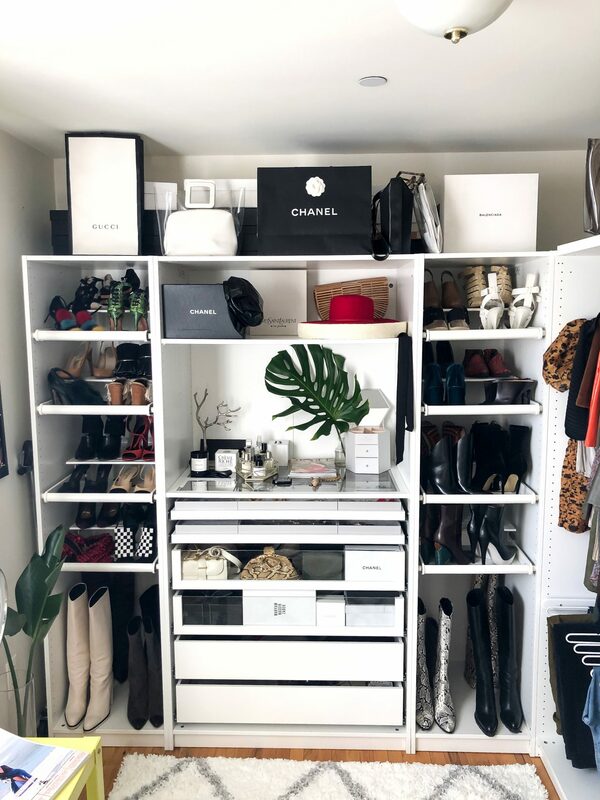 I designed and paid for my closet on a Thursday and it was built 3 days later in 3 hours time. 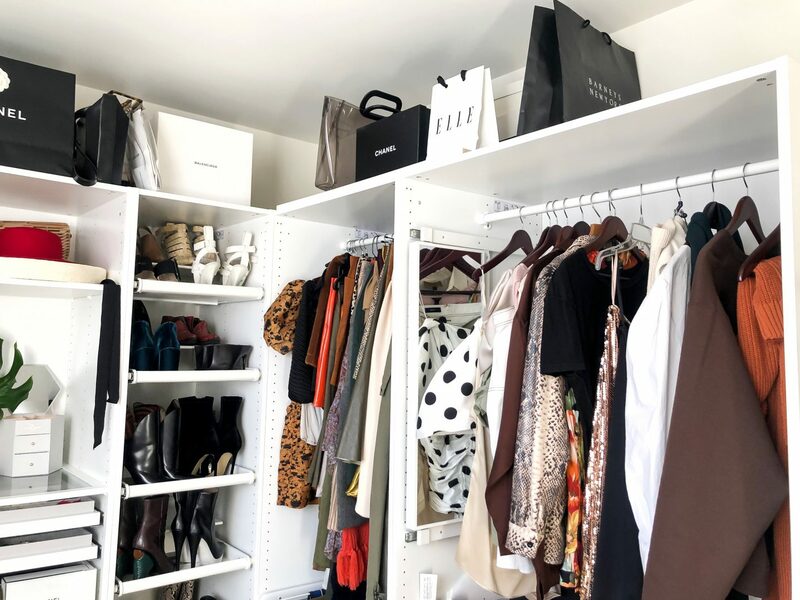 I went with the shorter units 79’’ Tall and deeper units 22” deep and think that was perfect for my space to leave room on top of the wardrobes for all my shoe boxes and shopping bags. Here is a look into the inner workings of my dream closet from the IKEA PAX Wardrobe system. I went with 5 wardrobes or shells and customized each of them to achieve this closet. 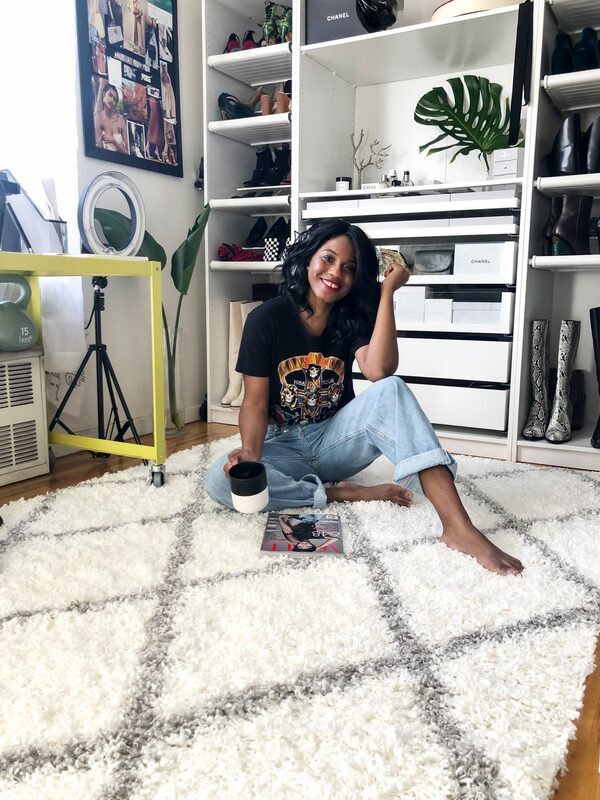 I wanted to be able to show off my most priced possessions, my shoes, and allow for easy access to the pieces I wear the most. I’ve very cognizant of the ambience I wanted to create in this this space. 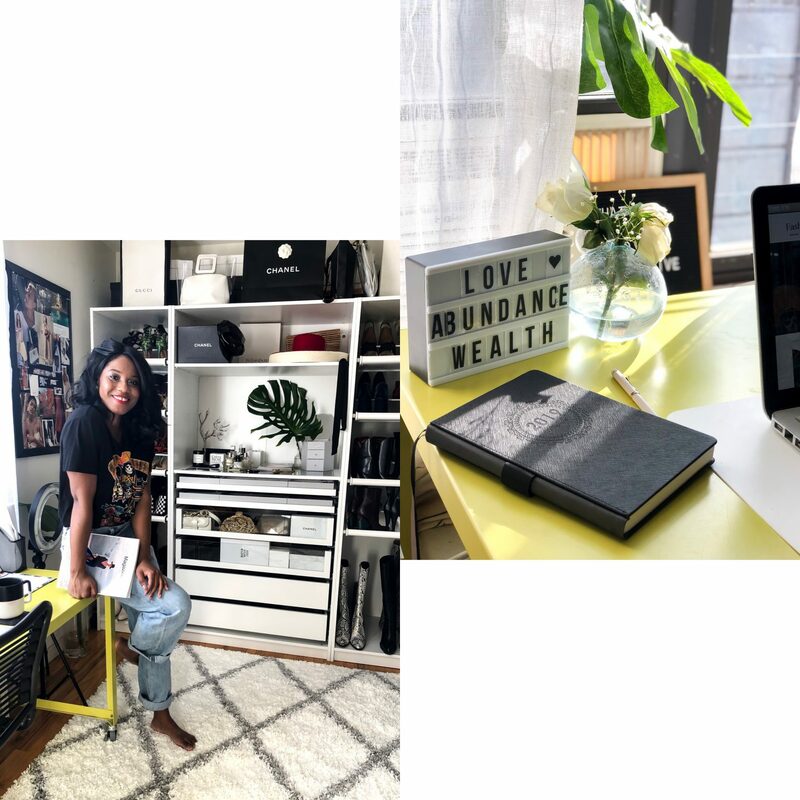 I needed it to be organized, clean and chic so I would be extra motivated to come into this cloffice and get much needed work done. I’ve had this CB2 desk for years and I love the pop of color it brings into the otherwise black and white space. I am thinking however of switching it out for the exact same version in white or grey. The size of it is perfect for me and I love the modern simplistic design. It’s on wheels too so if I’m having a meeting with my photographer or graphic designer it’s easy to pull out away from the wall and make it a two way desk or work station. When it came to my top shelf I wanted to keep it fresh and clean. I love a little greenery so the Monstera Leaf was a no brainer. I also love roses and flowers so when they’re in season I plan to keep a small bouquet on my top shelf. I’m a sucker for perfumes and wanted a nice space to easily access my collection as well as show it off. 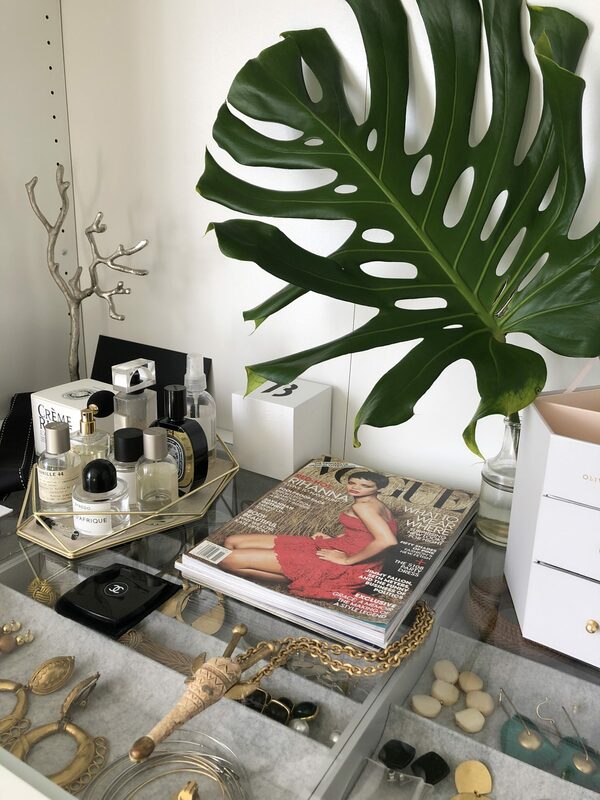 This jewelry holder/tray from Shopbop did the trick. Even though I have a candle on my top self, I don’t plan on lighting it there. I don’t want to smudge the whiteness of my wardrobe so will definitely move my candle onto my desk or an area far away from my wardrobe when I want a little ambience while I’m working. I own a ton of vintage costume jewelry and this glass shelf was the perfect way to display all my favorite jewels underneath. Check out my CLOFFICE TOUR VIDEO! I’m absolutely thrilled with the outcome. 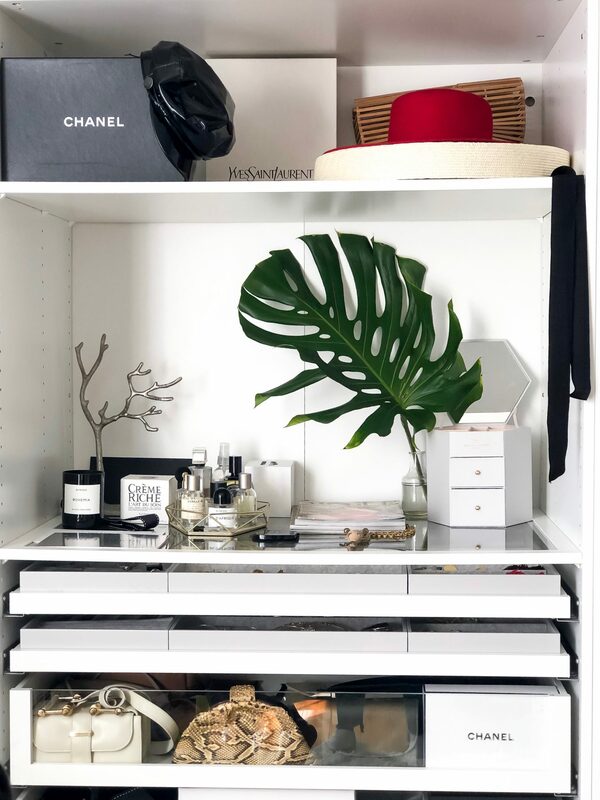 I have literally been saving my designer boxes and little knick knacks for the moment when I would have this closet. I’ve only had it for about a week and already I feel super productive in this space. I love how light and airy it is. I am also involve with the carpet. It’s shag and super soft between my toes when I’m sitting at my desk writing up blog posts. I think the place where you work or feel most creative should be nice and bright which is why I one with the white wardrobe versus the black. I wanted my space to inspire me and it’s done just that. My shoe collection is a source of pride for me. They are my babies and I’m happy I get to finally show them off and protect them like I should. The pull out trays are genius and protect a lot of my suede shoes from attracting dust. Now that I can literally see all the shoes and clothing that I own, I can make better decisions when it comes to shopping. My decor consist of things I’ve collected over the years. My vintage dress form is one of my most prized possessions. I’ve had it for about 8 years and trekked all the way to Brooklyn and back to Harlem on the train with it. It’s super heavy because the base is made out of some kind of metal. I got it on craigslist for $100 and couldn’t have been more thrilled when I hauled it up 5 flights of steps and gave it a home in my apartment. There’s just something so chic about a dress form. It also serves as a reminder for me to wear certain things on my to-wear list. The artwork is some that I’ve collected from my travels abroad. I also have a ton of fashion magazines from every country I’ve ever visited. 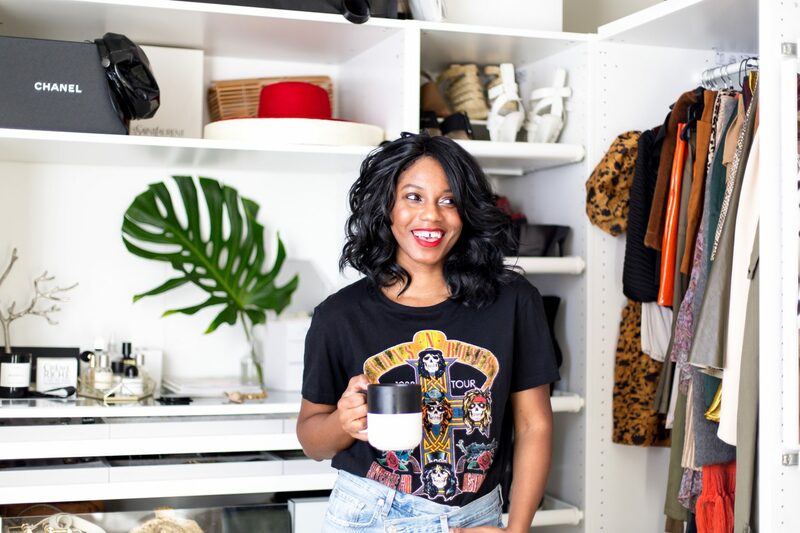 Thanks so much for stopping by and checking out my cloffice! 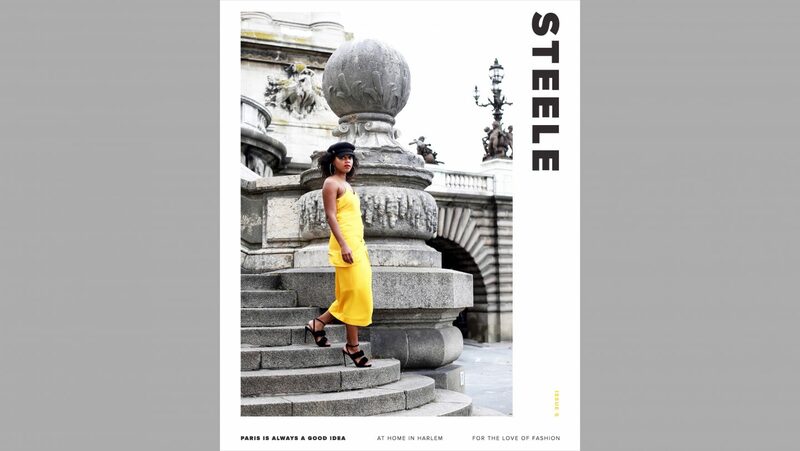 Subscribe to never miss a blog post and sign up for our free Newsletter for Sales Alerts, Giveaways, Fashion Events and More! Thank you so much for checking it out. Thanks so much for checking it out. I love it! I can’t wait to get up and come into this space LOL. Thanks Gloria! Girl I was too excited for it. Love the little vignette on the closet top shelf!